As an alternative healer I tend to get “zebras” for clients. This term comes from the medical adage “When you hear hoof beats think horses, not zebras”. For the average MD in general practice the conventional diagnosis and treatment fits 80% of their patient base. The other 20% continue to have disturbing symptoms and many of them eventually turn to the alternative treatment route. Because I’m a Medical Intuitive I have a disproportionate amount of clients who present unusual symptoms. Many of these symptoms are caused by an undiagnosed gluten sensitivity or other food allergy. As a result, I recommend the Paleo Diet more often than any other eating plan. And many people resist going Paleo or gluten-free because they believe that they will never have their favorite foods again. Going gluten free is a process. Most people don’t manage to go gluten-free in the first year, or even the second year. For most people, the third year is the charm. Yes, it’s better to go 100% gluten-free and never cheat, but the reality is that there are years of habits to change. And, emotional feelings of deprivation to manage. I’m not a fan of the gluten free processed food on the market. This food is often high in sugar and has little nutritional content. The products are also often high in chemical additives or gums such as xanthan gum which can be difficult to digest or derived from wheat or soy. Many of these products contain potentially compromised grain products such as corn and soy (you don’t really believe that organic corn is non-GMO, do you? Corn is wind pollinated.). Potato starch is another common ingredient that can set off nightshade allergies for sensitive people. These products can cause weight gain on the Paleo Diet instead of weight loss . But these can be important transitional and stress relief foods to help mitigate the emotional strain of avoiding gluten. Here are the top eating plan challenges and tools to manage them. This is the very first cry that gluten sensitive people make, “I’m not giving up pizza night”. And you don’t have to. Many pizza places make a gluten free crust. It’s not an ideal scenario because there is a lot of cross contamination from wheat flour in the environment. Also, they usually substitute with corn. There is also an exposure to cow’s milk dairy in the cheese, with the associated problems of casein and excess phosphorus. But, it’s so much better than making yourself sick for days or weeks with a gluten reaction. Although a true Paleo diet does not have dairy products, going gluten-free and dairy-free at the same time is too much stress for many people. Dairy from goat milk is much easier to digest and a once a week cheat works for most, even those with true celiac disease. There are now frozen pizza crusts that you can purchase to make your own pizza night at home. The crusts have varying degrees of success; I’ve never found one that kept me happy. Many of my clients are less picky; the winner of their popular vote seems to be Mama Mary’s. This brand isn’t a favorite of mine because it contains Guar gum, Xanthan gum, and Carrageenan. That’s enough to inflame my digestive tract, but not everyone reacts to that triplex of gums. 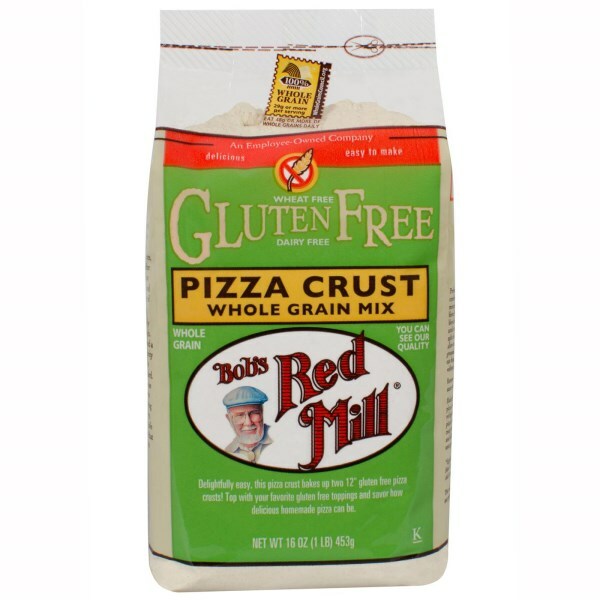 An even better choice is making your own pizza with a mix made by Bob’s Red Mill, their Gluten-Free Pizza Mix. 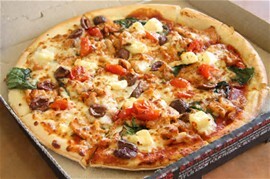 This is the very best equivalent that I have found to regular pizza. This mix can be difficult to find in stores but you can order it online through Amazon. It’s fun and easy to use, a bit like play dough. It does contain xanthan gum, so eat what you want the first night. Leftovers might trigger allergic reactions. Add goat cheese and you can avoid the extra casein and phosphorus in cow’s milk dairy. You can also find vegan cheeses with excellent structure and taste. Many people don’t know that you can often get away with eating an allergen once in a while without symptoms. The allergic reaction shows up the next time, though, if it is too close in duration. This period varies with everyone and can also vary with your stress level. Some people can have their allergenic food once a week, while others are only safe every six weeks. This was my own personal downfall when I was going gluten-free many years ago. 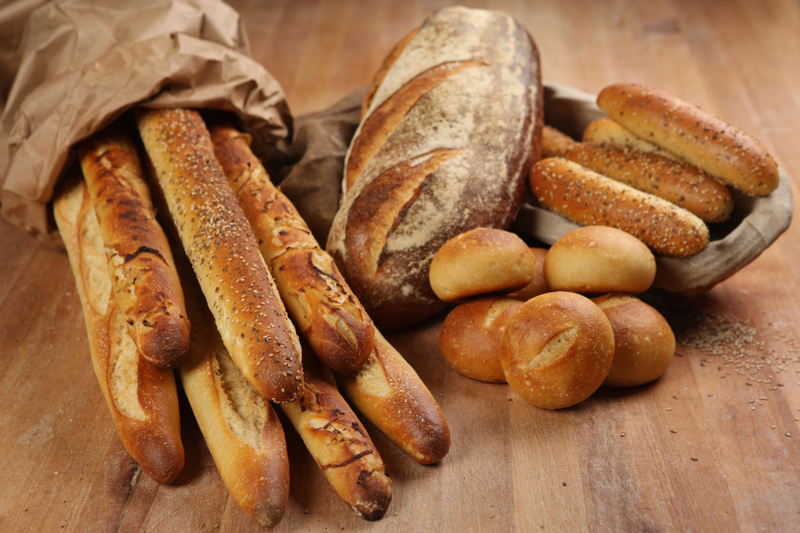 I used to judge a restaurant by the quality of the bread basket. My favorite restaurant served a rosemary bread that was unbelievable. It was my dietary mistake many, many times. The smell alone would bring me to my virtual knees. So I learned to bring some gluten free crackers with me, and to order an appetizer. Not that it’s easy to find a gluten free appetizer. So many appetizers are breaded. If there isn’t a gluten-free appetizer on the menu then ask for a small salad to be served immediately. Eat something before you have any alcohol because even slight inebriation will break down your will power. This used to be a problem, but now you can order gluten free beer in any decent bar. This doesn’t help in a restaurant situation; I haven’t seen many offering gluten free beers. 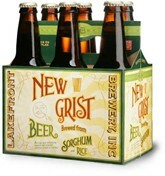 I have found, though, that most beer drinkers will substitute a hard cider for beer and many restaurants do offer that. No, not really goodbye. 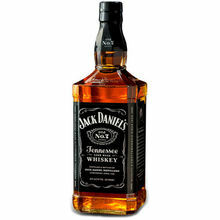 Jack Daniels whiskey is triple distilled and purportedly gluten does not survive the distilling process. Jameson and Bushmills are also triple distilled, although there is some debate about the safety on Jameson’s for celiac issues. Wild Turkey Bourbon is supposedly safe. Here’s a website with the complete list. Tinkyada makes a brown rice pasta that your family will swear is regular pasta (unless your family is Italian and makes their own pasta). The texture and taste are amazing. The trick is that the cooking time is very tricky. One minute too early and it tastes like library starch. One minute too late and it shreds and falls apart. When I lived at 3800′ elevation my cooking time after I added this pasta to boiling water was exactly 16 minutes. Now, at 3200′ elevation my cooking time is 14 minutes, 30 seconds. Yes, it’s that finicky. Learn your cooking time with experimentation and then just set a timer. Your local grocery stores probably carry the basic spaghetti, but Tinkyada makes pasta for Lasagne as well as 17 other pasta products. I’ve also heard that Barillo’s gluten free pasta is good. In a restaurant, order the risotto. It’s a rice based dish. 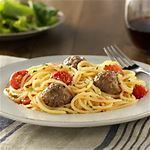 You will almost certainly get an exposure to dairy but at least you’ll be able to eat out at an Italian restaurant with friends and family. These should be used sparingly, if at all. Sugar really is a system poison, and addictive immediately. I often grab a few “cookies” made from raw sprouts by Go Raw. Just two of those end the after dinner munchies for me. But, sometimes a person needs a real cookie. Because of that emotional feeling of deprivation. Pamela’s Bakery makes a good chocolate chip cookie, I find the others to be so-so. 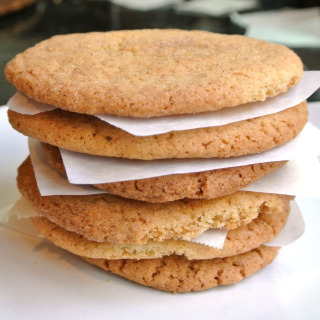 Pamela’s latest offering, gluten free cinnamon graham crackers, are flying off the shelves. There are other gluten free read-made cookies out there, such as almond horns. You can also find cookie mixes with recipes to bake at home such as Maninis, or pre-packaged Betty Crocker or Pamela’s mixes. You can also make delicious gluten-free and dairy free cookies and desserts from recipes found in the web, such as this and , (yum!) this one. Special occasions are a challenge to the gluten-free. It’s usually easier to bring your own gluten free dessert to share. Gluten-free cake mixes are easy to find in any supermarket. Betty Crocker, Pamela’s Bakery and Bob’s Red Mill all make good mixes. Many stores now carry gluten-free pie crusts in the refrigerator section, perfect for Thanksgiving pumpkin and pecan pies. Mi-Del makes a gluten-free graham cracker crust that is perfect for banana cream pies and fruit pies set with gelatin. Sometimes we just have to have a seasonal desert when the fruits are ripe. Cook strawberries and rhubarb together with ½ cup water and the coconut sugar on the stove with the heat set to low for about 30 minutes or until the rhubarb is soft. Remove from heat and use a micro grater to add the zest from an orange. Add the vanilla and salt. Let cool to room temperature. In 1/2 cup lukewarm water dissolve the gelatin and add this to the fruit mixture. Ladle this mixture into the pie crust and refrigerate for 2-3 hours. I don’t add red food coloring, but if you want it to look prettier you can either add a drop or arrange some raw strawberry slices on top for decoration. You can also sprinkle a but of sugar over the top to make the pie glisten. Happy gluten-free eating without deprivation! Sign up for my mailing list to receive my gluten-free and dairy free banana cream pie recipe.